Make your own cable assemblies in house using this versatile and durable tool. 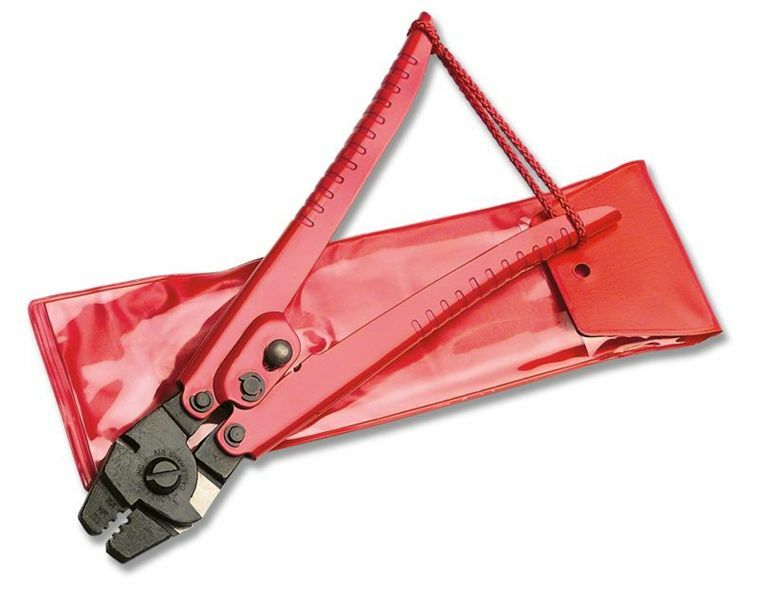 The dual purpose Cutter/Crimping tool tightly crimps Aluminum Oval and Stop Sleeves, and features a built- in cable cutter. Cut cleanly without fraying the end of the cable. Steel stamped eyes require special assembly equipment. WARNING. Always wear eye protection when using this tool. Save yourself the hassle of making assemblies in house and ask us for a quote on complete Steel Lanyard Assemblies! Our recent advances in automation allow us to produce high quality Steel Lanyards at prices competitive with imports and with FAST lead times.